Delighted to Become a Part of Hiden Galleries! This year is all about new opportunities for our team here at Marvin Gardens! Already this year we have been delighted to continue sharing our love for bringing together distinctive and intriguing elements for home designs that transcend traditional trends. In support of our efforts to continue to expand our collections and make them available to you, you will soon find Marvin Gardens at Hiden Galleries in Stamford, Connecticut. Hiden Galleries offers guests a wonderful opportunity to find truly unique elements for their homes. 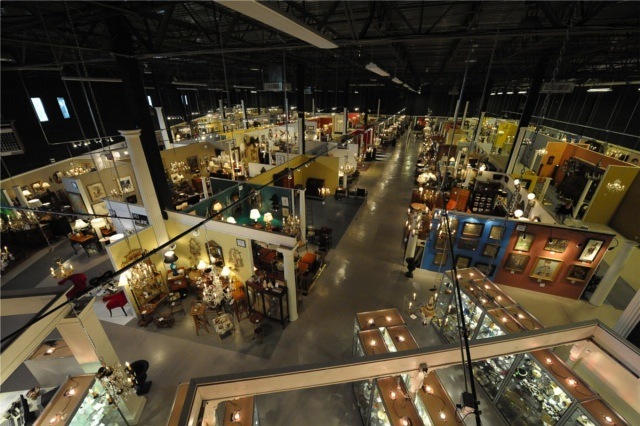 Within the antique district of Stamford, Hiden Galleries (47 John Street, Stamford, CT) is the premier location for lovers of all things antique and vintage. The 48,000 square foot showroom houses 275 antique and artisan dealers offering some of the finest decorative furniture, artwork, and garden pieces in the tri-state area. Marvin Gardens has had the distinct opportunity of becoming a part of Hiden Galleries and will soon offer our products at Booth #1424. Our location will evoke the conservatory style setting with both the indoor and outdoor living pieces that we’re known for. You’ll find plenty of cast iron urns, vintage and antique garden element, as well as patio furniture! Over the next week we will be moving into our newest location and sharing all the updates with each of you! Once we get settled in, we hope you will all join us in celebrating this exciting addition by stopping by for a visit!